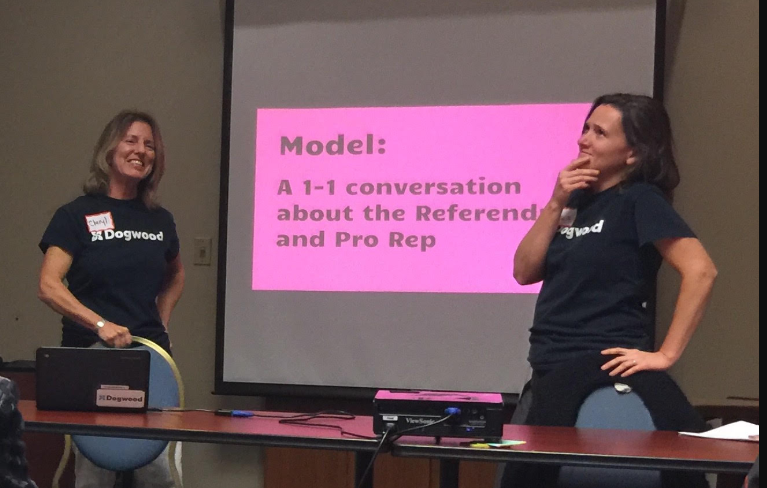 Join us to talk about next steps to win Pro Rep for BC using Dogwood’s Relational voting program! We’ll review and workshop how to have a 1-1 conversation with your people, the ins and outs of the website, as well as how to take part in the campaign using only a pen and paper. Please bring your computer if you plan to use one, a notebook, and a snack to share (optional). If at all possible, sign up here https://organize.votebc.ca/recruiter or using the link in the email and familiarize yourself with the website before attending. We will start promptly at 2:30 so please try to be on time! Lisa’s place is just steps from the Edmonds sky train station.